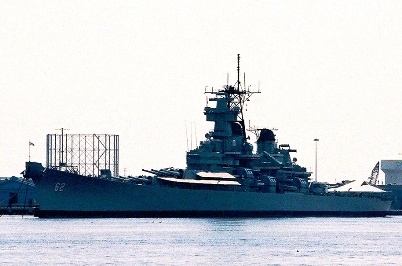 Across the Delaware River from Philadelphia is anchored the battleship USS New Jersey (BB 62). Located on the Camden waterfront, the New Jersey has been open as a museum since 2001. The waterfront is easily reached from Philadelphia by using the Riverlink Ferry or the PATCO High Speed Line . 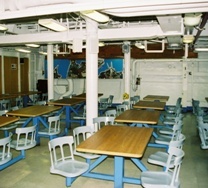 The New Jersey is the most decorated ship in the US Navy. Built in Philadelphia and commissioned in 1943, the ship saw service in World War II, Korea, and Vietnam. During World War II, the ship was the flagship of Admiral William "Bull" Halsey. 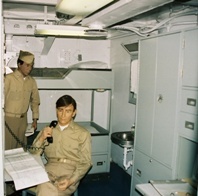 Her last combat role saw the ship supporting Marines in Lebanon in 1982. 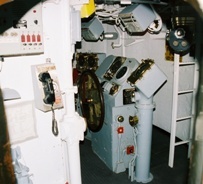 The ship was officially decommissioned in 1991. The ship is 887 feet long and 108 feet wide. Her ship's company varied from 80 officers and 1500+ enlisted to 120 officers and 3000+ enlisted. 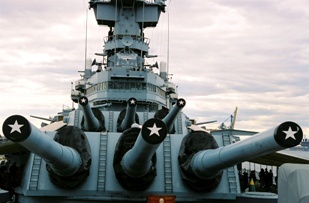 The ship's armament consisted of nine sixteen inch guns, twenty five inch guns, and up to eighty 40mm anti-aircraft guns. The ship also carried Tomahawk cruise missles.